iSudoku is a logic-based, combinatorial number-placement puzzle game. 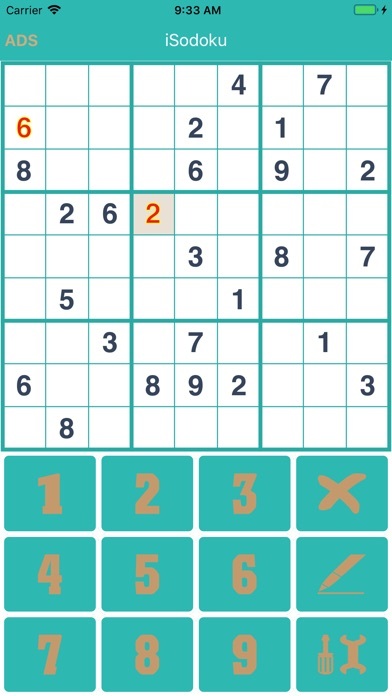 You need to fill a 9x9 grid with digits so that each column, each row, and each of the nine 3x3 sub-grids that compose the grid contains all of the digits from 1 to 9 to win the game. 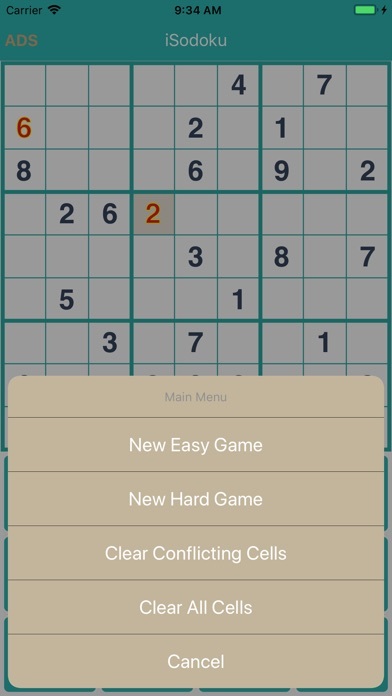 FEATURES: - Different difficulties ( Easy - Medium - Hard - Expert ) - Hundreds of puzzles for each difficulty - Pencil - Undo - Hint - Erase - Timer (optional) - Clean interface and smooth controls - iPhones and iPad support Download Now iSudoku.